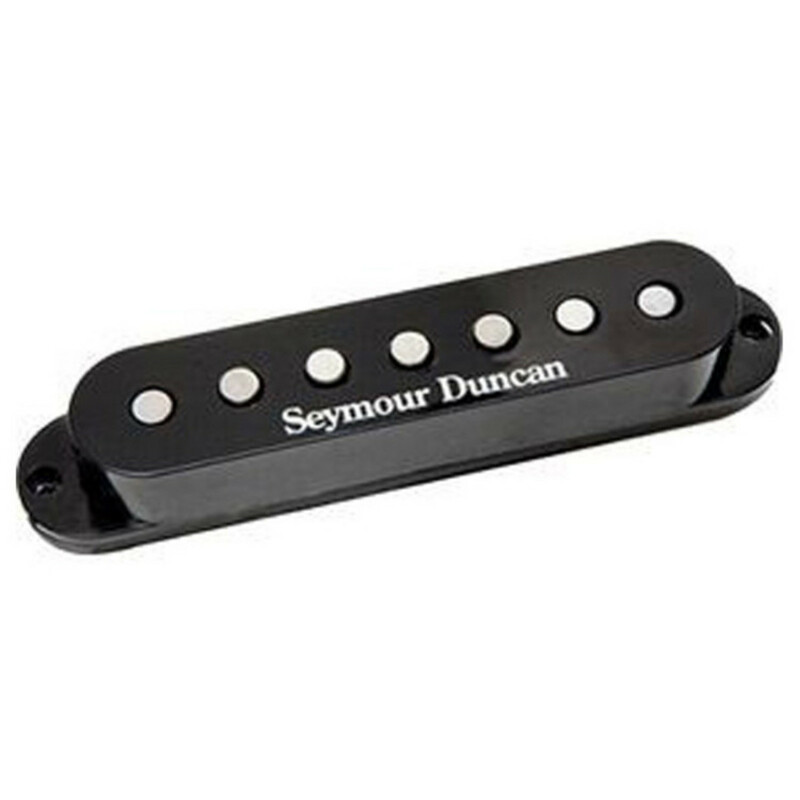 This pickup allows you 7-string players out there to experience the vintage tone of the Vintage Staggered family from legendary manufacturer, Seymour Duncan. The SSL-1 Vintage Staggered 7-string pickup provides deep punchy tone with bright sparkle for single-coil Strat® guitars. This pickup is recommended for country, pop, surf, blues, rockabilly, ska, classic rock. If you want to bring a vintage sound to the new era of 7-stringed guitars, this may just be your find. The SSL-1 Vintage Staggered 7-String pickup boasts hand-ground Alnico 5 magnets. This pickup pairs nicely with a humbucker like the SH-4 JB 7-string in the bridge position, along with a neck pickup like the SH-1 Neck '59 7-string. You could perhaps pair this pickup with a high output bridge pickup like the SH-10 Full Shred 7-string, and a moderate output neck pickup like the SH-2n Jazz 7-string, so you can get fantastic tone playing Texas blues rock, classic rock and heavy rock. Experience distinct vintage tone with greater sustain and full sounding harmonics that cut through the mix. Clean up the tone as you back off the volume. The 6-string counterpart of the SSL-1 Vintage Staggered Pickup has boasted many artists, thanks to its great, overwound Strat tone.